We've just had a lovely week away in the Southern-most part of Devon, the South Hams. We stayed in a bijou chocolate box cottage in Galmpton, just outside Hope Cove. Elliots Cottage, our home for the week. 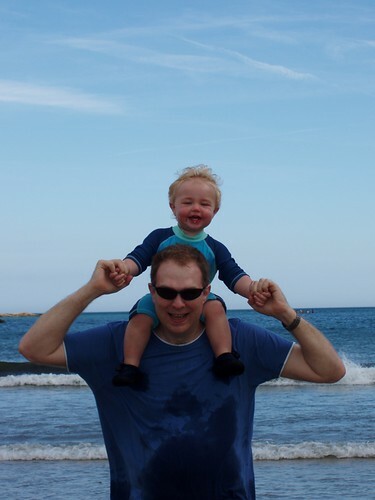 Nathan had his first visit to the beach, and loved it. 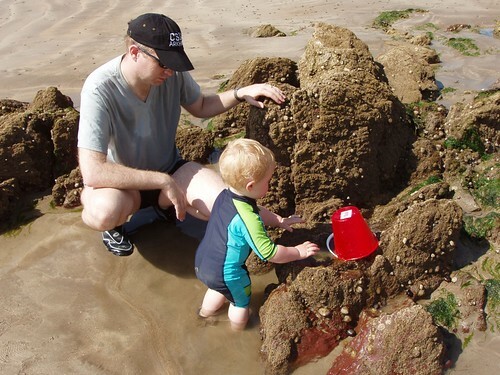 Thanks to Water-Babies, he wasn't scared of the water; however, he was unsure of the waves when the sea was a bit choppy. 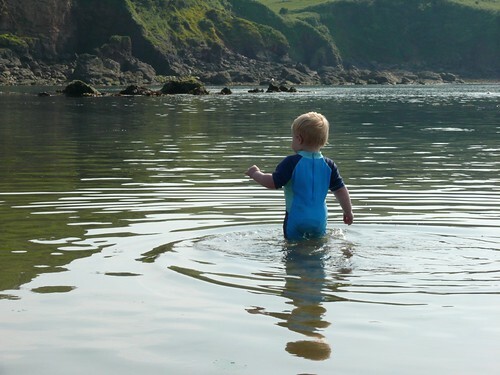 We generally chilled out – as much as one can do with an energetic 17 month old – and visited the beach everyday, and had a few trips to Salcombe and Kingsbridge. The weather was glorious, aside from the day we arrived when we were greeted by a thunder and hail storm. 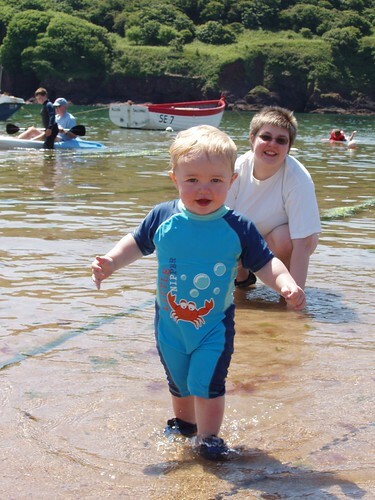 Having fun at Hope Cove. I read much less than usual (only 4 books), but did a bit of work on a secret RPG project (tm) which was good, and got me back into writing stuff. It was a real shame to have to head back home, and if I have one regret it was that we only had 7 days there. 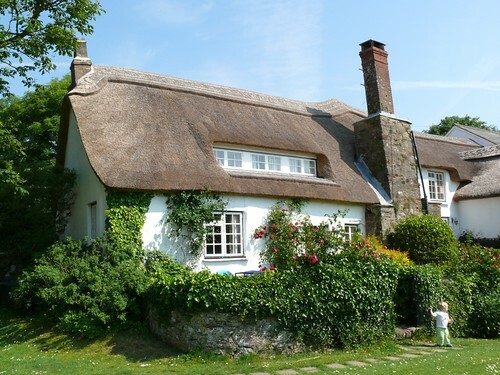 The South Hams are a lovely part of the world, and I spent a lot of time there as a child as my parents regularly took a cottage there as our main holiday. I'd recommend it wholeheartedly. Nathan loved it! The journey back and forth got spread over three days each time to ease things on Nathan, and we stayed at my parents' house in Cheshire and my aunt (and godmother) and uncle's house in Somerset. With the exception of one leg, he was as good as gold! Our only worry on the journey was whether we'd be able to get fuel with the Shell Tanker driver's strike, but we didn't have a problem. All in all, a lovely break away from things (especially as the mobile signal was poor!). Currently reading: The Wellstone (Wil McCarthy). Okay, it's been over a month since I last properly put some posts together, but life (at work and home) has been busy, and we've been away to Devon (more on that later, as I'm waiting for the photos to complete uploading to Flickr) on holiday and visiting as well. I'll remedy this drought over the next few days, honest.